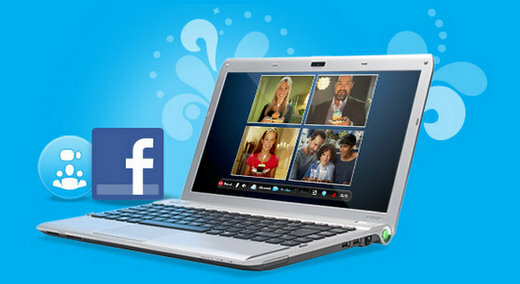 Facebook has a new integrated relationship with Skype. So as of today, when you upgrade to the latest Skype 5.0, you will be able to login via Facebook Connect and start Skype’ing your Facebook friends. Facebook made the announcement via The Facebook Blog today. However, in their update, there wasn’t really any “how to” to making it happen. Well thanks to ElJay, he added a great tutorial on how to use Skype via the new Facebook Connect integration. 3rd: Open Skype menu: Skype -> Profile -> Edit your Profile -> Facebook -> See NewsFeed in Skype -> Registrate with Facebook Account Datas -> Confirm “Request for Permission” by clicking on “Allow” => Your Facebook news feed should now be loading in Skype. You can even copy your “What’s on your mind?” in Facebook as “Skype Mood”.